Albert and William Pitt (senior) were the sons of Edwin Charles and Harriett (née Simmonds) Pitt who had in total eleven children. The family lived in Gloucester where Edwin was employed as a General Labourer. Albert Edward Pitt was born on 1 October 1872 and worked as a Labourer and subsequently a Timber Porter. He married Emma Juggins on 25 September 1897 and the couple had ten children. Their eldest son Albert Edward Pitt died on 20 October 1918 whilst serving with the Royal Engineers during the Great War. At the time of his death, his parents were living at 34 Union Street, Gloucester, a few doors down from another Gloucester player ‘Car’ Cummings whose own son Ernest Cummings, also a Gloucester player, had been killed in 1915. Albert, a forward, played 20 times for the Gloucester First XV between 1894 and 1898, scoring 1 try. He died at Gloucester in 1961 aged 89 years while his wife, Emma, had died four years previously. 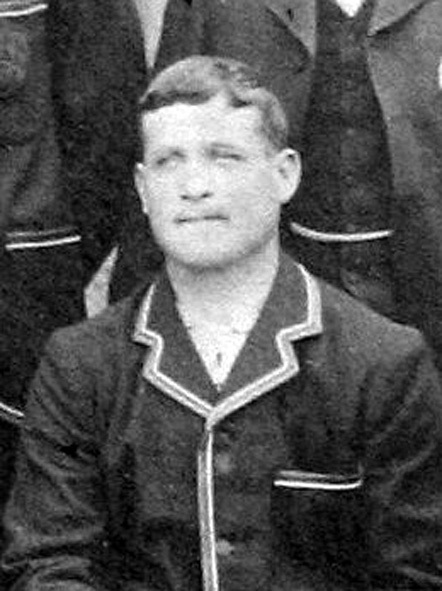 Albert’s son, Hubert Pitt, was born in 1901 in Gloucester and played 48 games as a forward for the Gloucester First XV, scoring 4 tries. Hubert died in 1973 aged 72 years. William Pitt (Senior) was born on 6 June 1875 at Gloucester and was employed as a Labourer although subsequently became a Dock Hand working at Bristol Docks. He married Bertha Kate Smith at Gloucester on 28 July 1894. The couple had three children although one died in infancy. William, a versatile player, represented the Gloucester First XV in 47 matches at full back, centre and in the forwards; he scored 9 tries. In 1934 his wife, Bertha, fell at work fracturing her leg but developed toxaemia and subsequently died. William died in 1940. William John Pitt (Junior) was born at Gloucester on 21 December 1899 and was employed as a Deal Porter. He married Catherine Kate Philips at Gloucester on 2 April 1923 but never had any children. The couple lived in Gloucester for the whole of their lives. 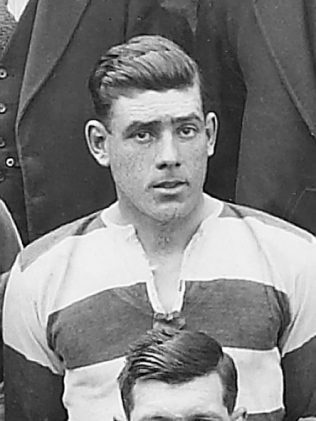 William made 2 appearances on the wing for Gloucester between 1923 and 1925. William died in 1971 aged 72 years, three years after the death of his wife, Catherine.